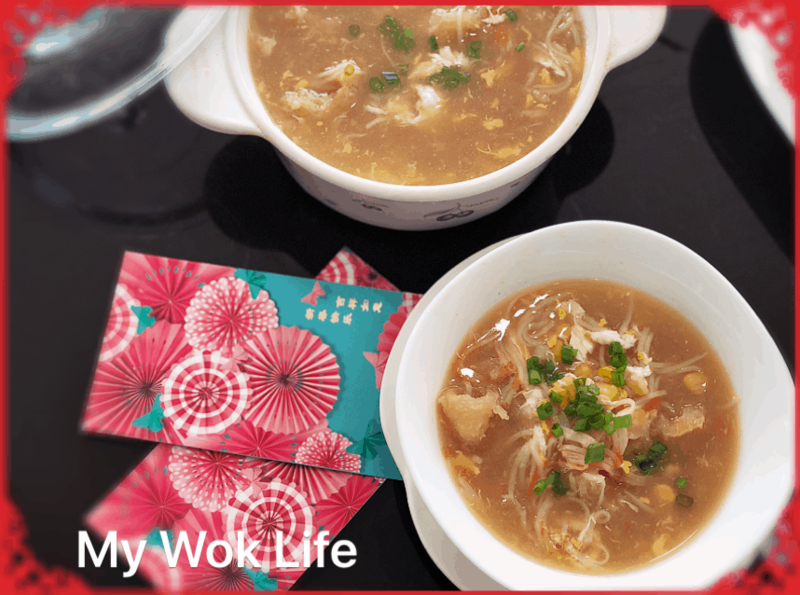 An auspicious broth that is healthy, easy to cook and tasty. Yes, and we should say “no” to shark fin during these festive occasions. I would recommend this to replace shark fin soup. As delicious as it could be, it symbolizes increment in wealth capacity. 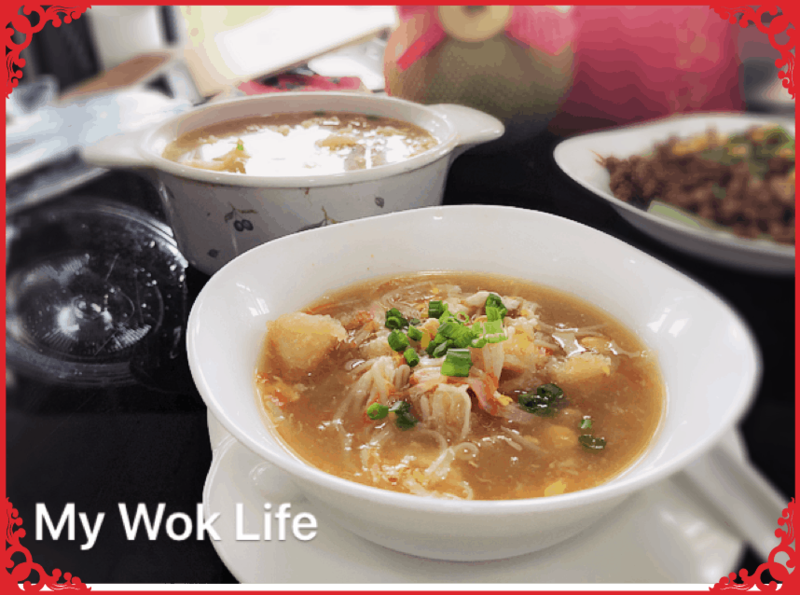 This “filled with wealth” soup is a must to consume during Chinese Lunar New Year. (1) Heat pot with oil over medium fire. Sauté garlic till browned. Add chicken stock and bring it to a boil. (2) Add fish maw rings and shredded chicken. Simmer on low fire for 20 minutes. Add corn and crab meat, continue to simmer for 10 minutes. (3) Increase heat to high fire, and bring it to a rolling boil. Stir in egg to create egg drops. Add salt and pepper, drizzle Chinese wine. Stir in corn starch slurry to thicken the soup. Heat off. Serve. 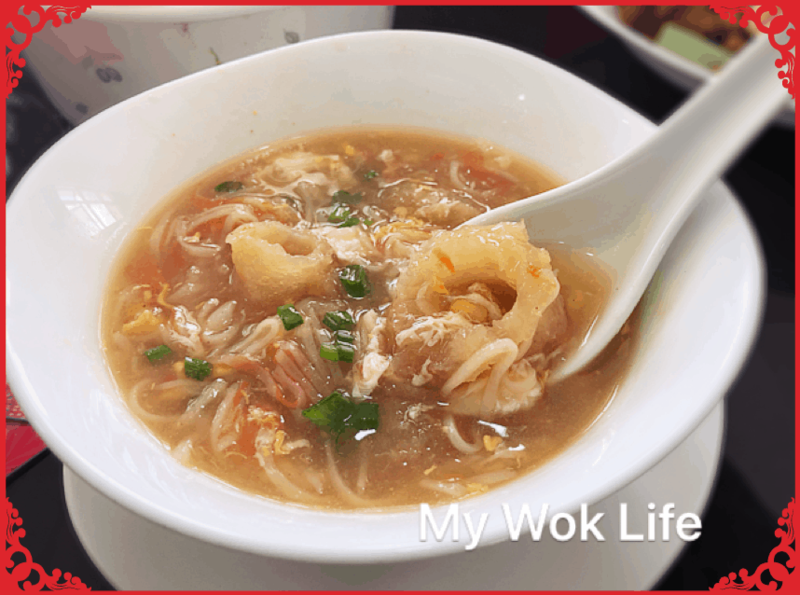 A bowl of fish maw egg drop soup counts less than 300kcal. Tips: The amount of each ingredient is adjustable to your liking. 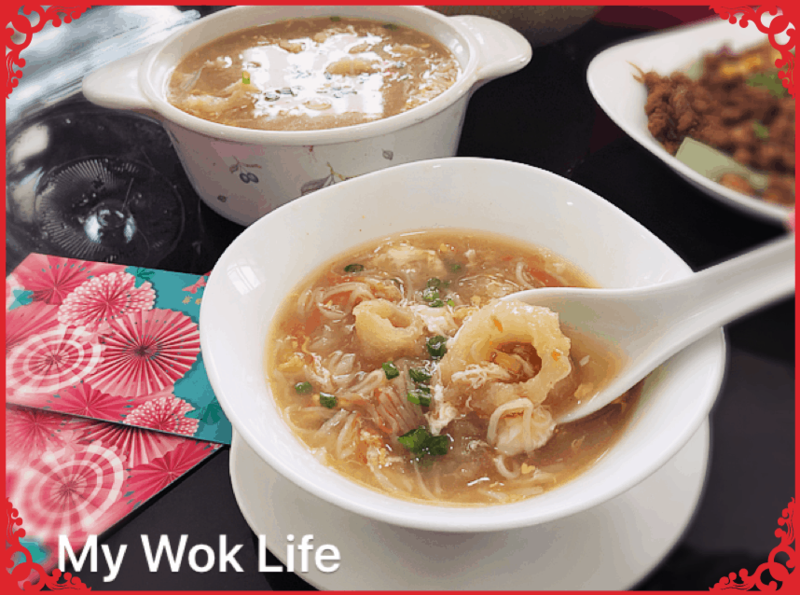 * Presoak the fried fish maw in warm water for about 15 mins to shorten cooking time.